Prevent the oxidation of alumina plate of pattern: moist air and wind blow insolation make the surface of aluminum tread plate produce deformation and rusting phenomenon, need user to undertake necessary to this aluminium model board in time at this moment maintenance and maintain, such ability can assure the normal service life of aluminium model board. Prevent the pollution of dirt and oil aluminum tread plate: the surface of aluminium plastic plate can accumulate more dust and oil in long time of use process, this needs to undertake necessary cleaning and maintenance to aluminium plastic plate, can affect the service life of aluminium plastic plate badly otherwise. When cleaning and maintaining aluminum plastic sheets, choose some softer fabrics to wipe them lightly. Be careful of the deformation of the aluminum tread plate: try to place the aluminum plastic plate away from the water source. As the aluminum plastic plate is relatively easy to deform, especially in the humid air or environment, it is more likely to deform and other situations. Therefore, when placing the aluminum plastic plate, it should be placed away from the water source. The above is the aluminum tread plate should pay attention to the maintenance in the daily life, haomei aluminium engaged in the aluminum tread plate production and processing for many years, has own aluminum tread plate manufacturer, can provide the high quality service for the customer, better guarantees the aluminum tread plate quality, provides the customer more thorough service. 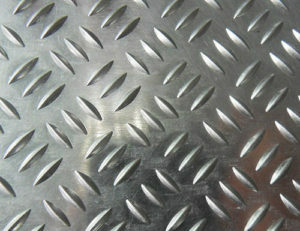 RE: How do we maintain and store an aluminum tread plate?